What’s going on at St. Paul? You are here: Home / Announcements / What’s going on at St. Paul? 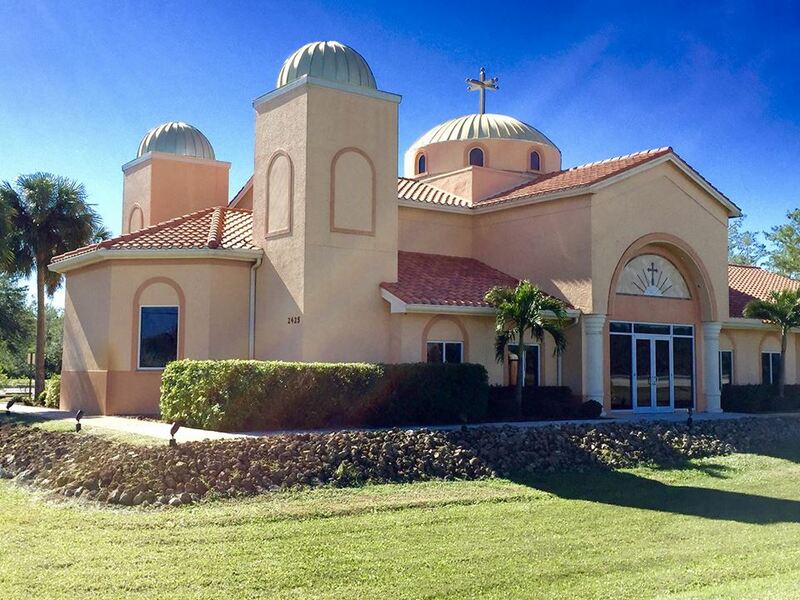 Icon of the Feast in eastern apse above solea at St. Paul Church in Naples, FL. 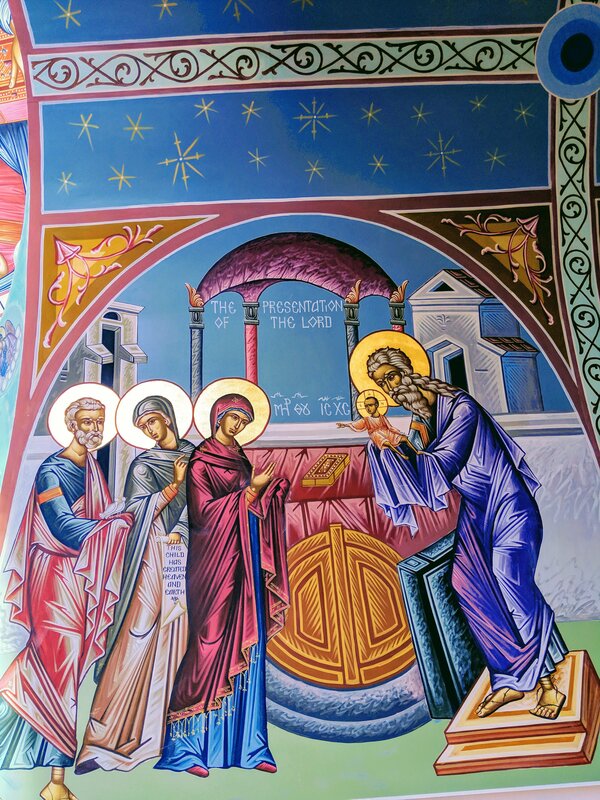 On February 2 in the Holy Orthodox Church, we celebrate the Meeting (Presentation) of our Lord, God and Savior Jesus Christ in the Temple, wherein the righteous Simeon received Him into his arms. The hands of righteous Simeon, as they bear Thee, depict, O my Christ, the bosom of Thy Father. On the second, Simeon received Christ in the Temple. The Greek word for the feast is “Hypapante” [ee-pah-pan-DEE] which means “Encounter” or “Meeting.” However, this was not just some chance encounter. This feast, which closes the cycle of the Nativity of our Lord, God, and Savior Jesus Christ, reminds us that on the fortieth day after the birth of her first-born Son, Mary carried Him to the Temple in accordance with the Mosaic Law to offer Him to the Lord, and to ransom Him by the sacrifice of a pair of turtle-doves or two young pigeons (Luke 2:22-37). In one of many acts of extreme humility, the divine Word thus lowers Himself and submits to the law in order to fulfill it. This lowering is also Jesus’ first official encounter with His people in the person of Simeon. It is not only an encounter, but also a manifestation. Simeon bears in his arms the One he knows to be the Salvation of the world, “a light to lighten the Gentiles, and the glory of Thy people Israel.” His endearing prayer, as found in the Gospel of Luke, endures in the Orthodox Church to this day. 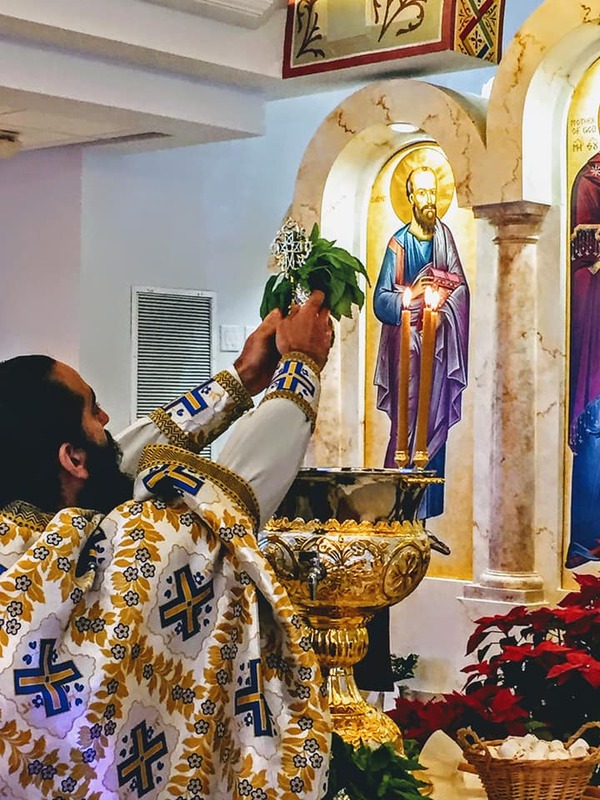 The Church considers this celebration as a Feast of the Theotokos in praise of her role in this Presentation, and her connection in the work of her Son. “Adorn thy chamber, O Zion, and receive Christ the King. Welcome Mary the heavenly gate; for she hath appeared as a cherubic throne; she carrieth the King of glory” (Aposticha of Great Vespers). The Virgin today accompanies the Child in His first offering to the Father; she will also accompany Him even to the realization of His sacrifice for humanity. Unto the very God be glory and dominion unto the ages. Amen. It is very important to attend this brief meeting in order to review our past year as a parish, learn of plans for the coming year and approve the new budget and revised constitution. 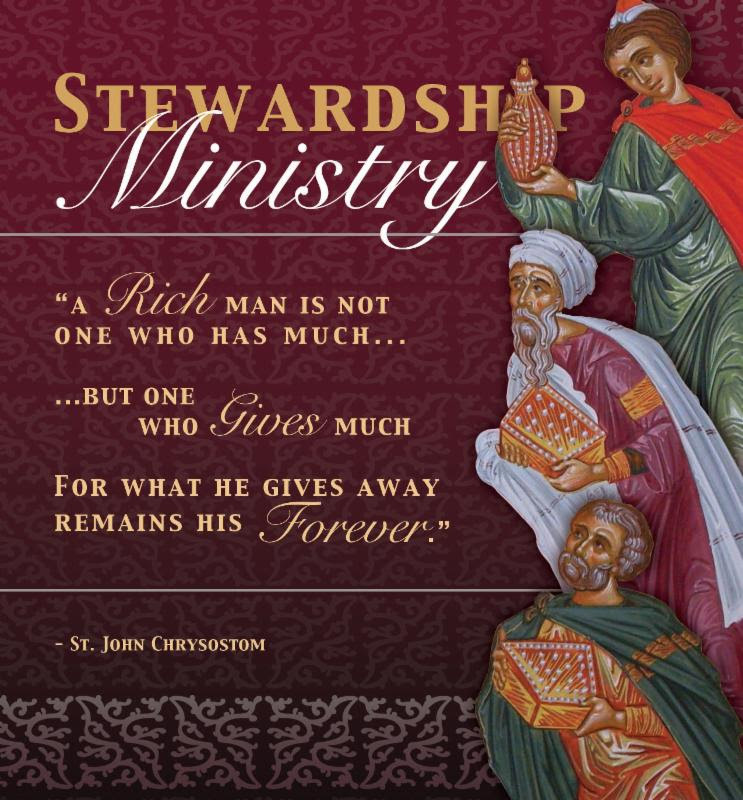 Make sure to bring the packet mailed to your home with you that Sunday and, please remember, only those who submitted 2018 Stewardship (Pledge) Cards are able to vote at the Annual Parish Meeting. Having been entrusted with the care of this vibrant parish, we are determined to be good stewards of what we have received from God. Our attendance at the Annual Parish Meeting on February 3 is an outward confession of our personal commitment to this blessed community. By continuing to grow in our Stewardship – time, talent, and treasure – generations to come will reap the fruits of the legacy being established at St. Paul. As we enter the 22nd year, the work continues as should our commitment to the Church, to Christ Himself – for they are one. There will be no Fellowship Coffee Hour following Divine Liturgy on Feb. 3. Instead, a light lunch immediately after the Annual Parish Meeting will be provided for those that attended. 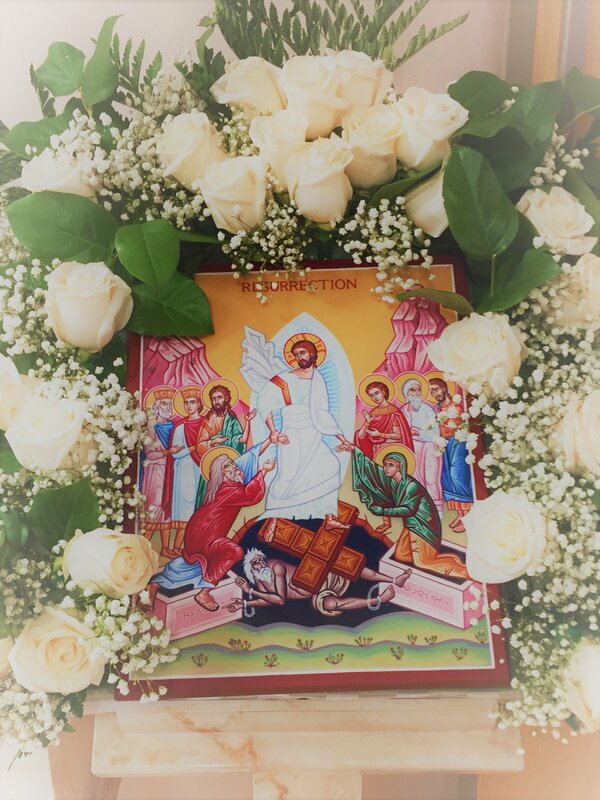 Blessing homes of Orthodox Christians is done each year on or after the feast of Theophany. This act is the central sign of God’s sanctification of all things through Christ’s baptism in the river Jordan and His epiphany to the world… The sanctification of the home takes place with prayer and the sprinkling of holy water. The priest, at this annual visit, asks God to have mercy on the house, to rid it of every evil and to fill it with every blessing. Everyone of the house prays together for the living and the dead of the family… and process from room to room while the priest blesses the house. One is not expected to “host” Fr. Paul at their home/business for a long period of time – this is a no pressure visitation that can be quite “short and sweet”. Fr. Paul will come with the angels, with the water of the Jordan and the blessing of Christ, to distribute holiness, encouragement, strength, joy, and grace, for the peace and purification of your life. 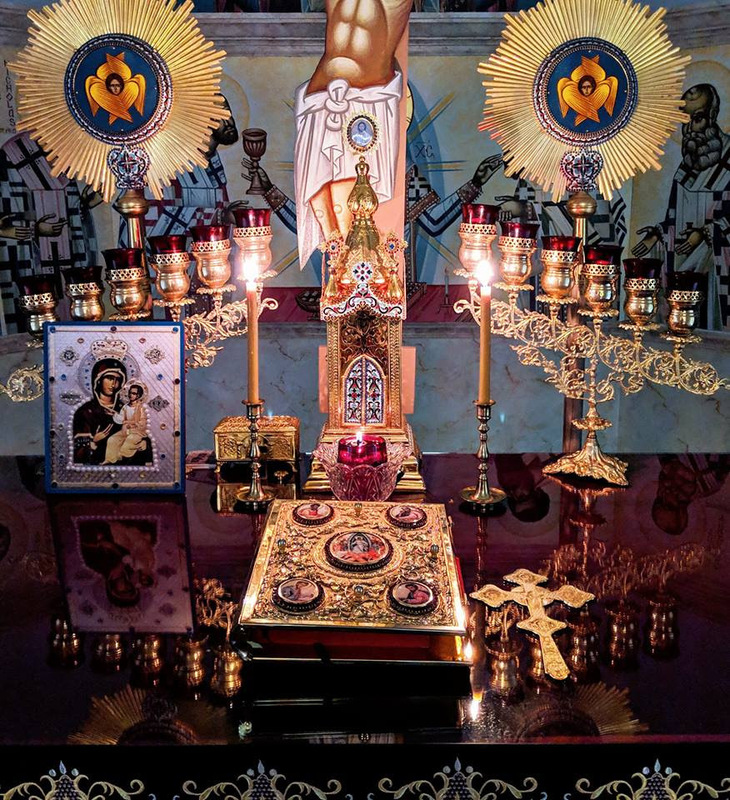 This is why every Orthodox Christian should bless their home. Contact Fr. Paul (frpaulgirgis@gmail.com) to schedule a house/business blessing and establish a “bond of holiness” between The Church and your home/business. We have recently learned that the servant of God Christopher Chopelas fell asleep in the Lord earlier this week. Christopher and his wife Anne-Marie were members of St. Paul for many years – Chris was on the Parish Council and a devoted choir member. After developing health problems, Chris and Anne moved to Charlotte, NC to be near their children. May Christ our true God grant Christopher rest in the place where all His blessed Saints repose and where the light of His countenance shines forever and may He grant great strength and consolation to Anne-Marie. Amen. Join us in gathering together to learn about the Holy Scriptures through the lens of the Ancient Christian Faith. This is not a lecture hour with Fr. Paul but rather a warm-discussion about the relevant reading and how it fits into our personal life, local community, and world. This is how we learn about the Faith. 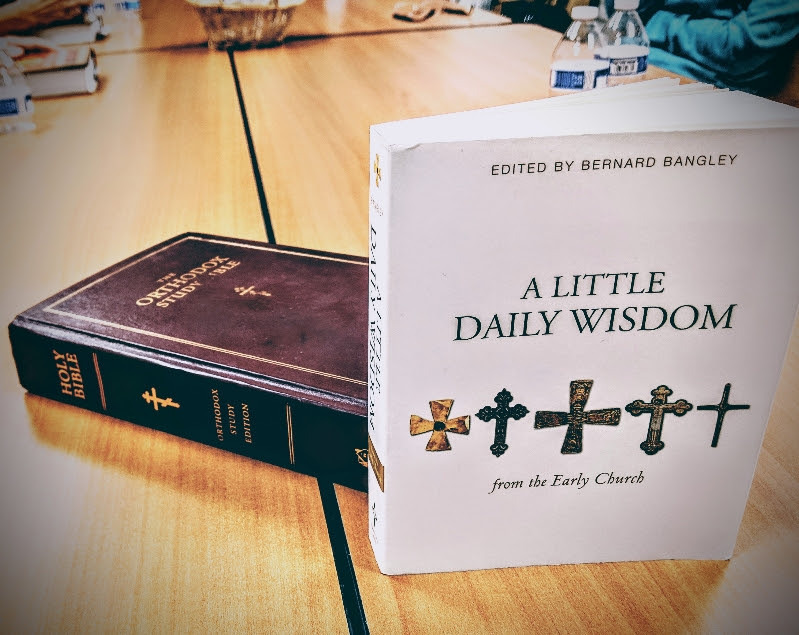 Why is Great Vespers important?